With the passing of her elderly husband, nineteen-year-old Kenana finds herself queen of Adah -- and heavy with child -- a child who may or may not be human. Attacked by a fallen angel prior to her husband's death, Kenana is tormented by the thought of what may be growing inside her. And as she is about to give birth, Kenana receives some unsettling news: a massive army is gathering, an army determined to remove her from power, an army composed of mighty Nephilim warriors -- and led by a traitor. Only one man can stop the coming destruction, the true king of Mesopotamia -- a man who also happens to be her true guardian angel. "Angel Heart ends with some major cliffhangers, leaving the reader with hope for a sequel to this fascinating book. I know I will be looking forward to it!" "Congratulations to Summer Lee for a moving conclusion to a wonderful series!" 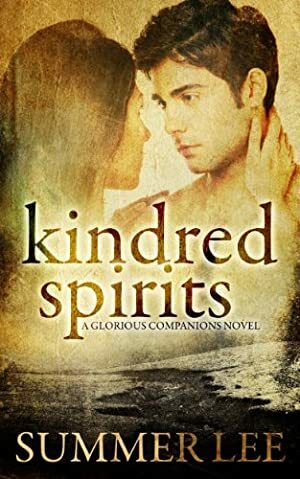 "Kindred Spirits is a deeply moving and fascinating look at life before the Great Flood. I loved this book!" "Angel Heart is thrilling, adventurous, and deeply romantic!" Log In to track Summer Lee on eReaderIQ. to be notified each time the price drops on any book by Summer Lee. to stop tracking Summer Lee. We started tracking this book on December 4, 2011. The price of this book has changed 52 times in the past 2,696 days. The current price of this book is $0.99 last checked 9 hours ago. The highest price to date was $3.99 last reached on March 22, 2016. We last verified the price of this book about 9 hours ago. At that time, the price was $0.99. This price is subject to change. The price displayed on the Amazon.com website at the time of purchase is the price you will pay for this book. Please confirm the price before making any purchases.